Mix these 3 ingredients ( Vinegar,Salt and Lehsun Paste) and marinate the fish pieces for an hour. 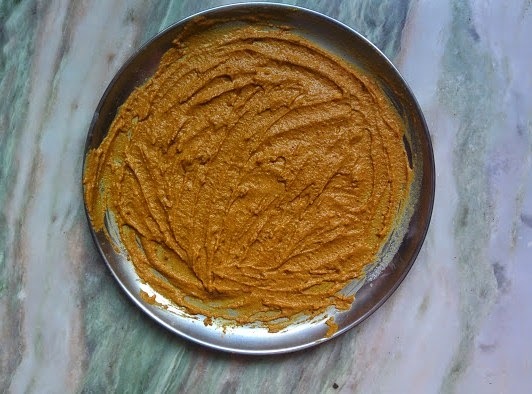 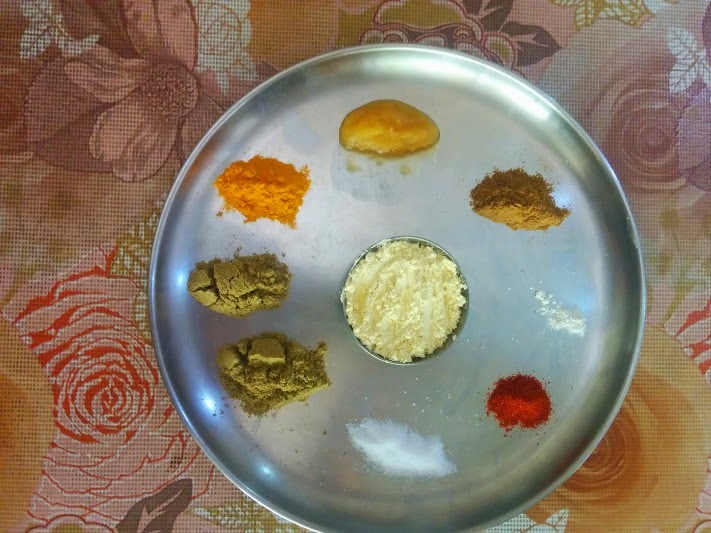 Now for the coating of besan.In a seprate bowl mix 1 and half cup of besan,1 tea spoon of crushed lehsun or lehsun paste,1 teaspoon of zeera powder,2 tablespoon of dhaniya powder,1 and 1/2 teaspoon of crushed ajwain( This depends on your taste,If you want you can omit this) small Pinch of baking soda,1 teaspoon of Haldi powder (turmeric powder).1 and half tablespoon of red chilli powder (Lal Mirch powder) and salt to taste.as shown in the below photograh. 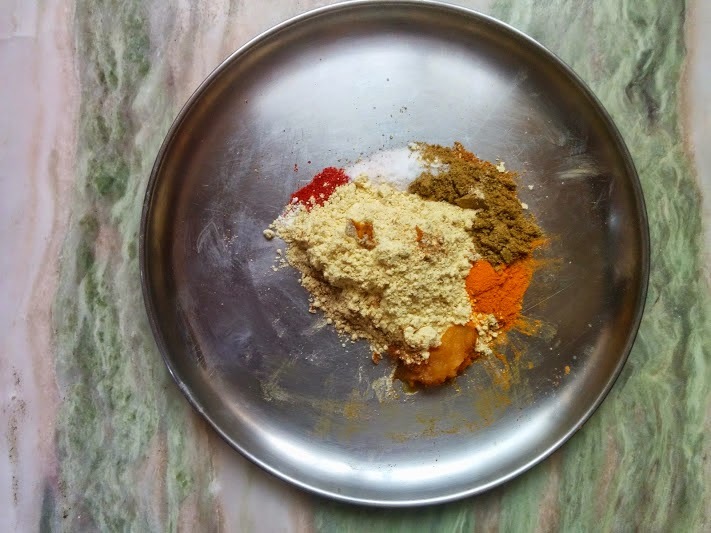 Mix all the ingredients in a plate and blend them properly. 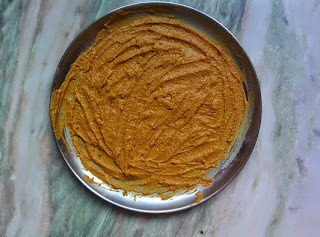 After this blending and mixing you will get a paste as shown in the picture below. 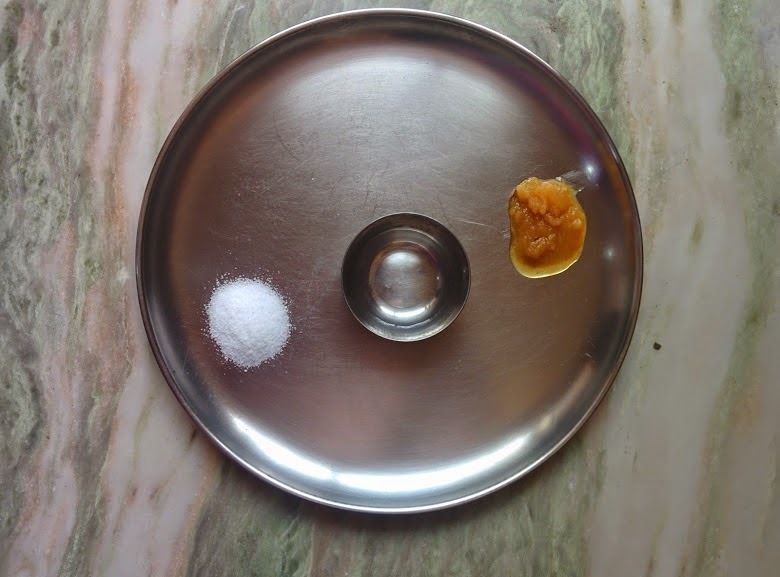 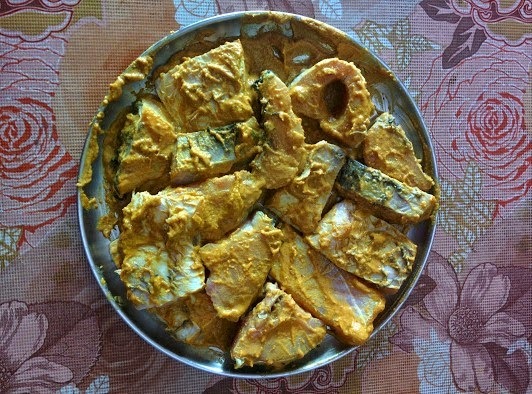 This paste will be used as a coating on the marinated fish pieces.Whenever you want to serve the fried fish.Fish pieces should be coated with this paste and left for an hour before frying,as shown in the picture below. 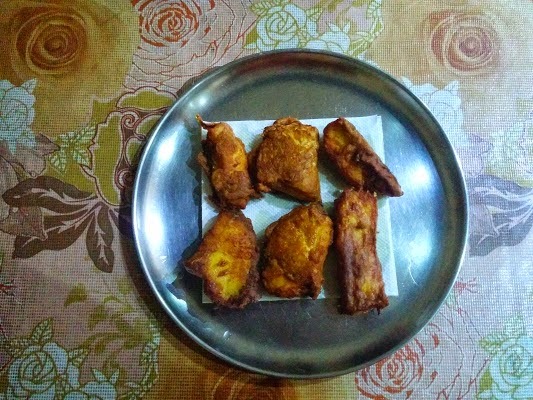 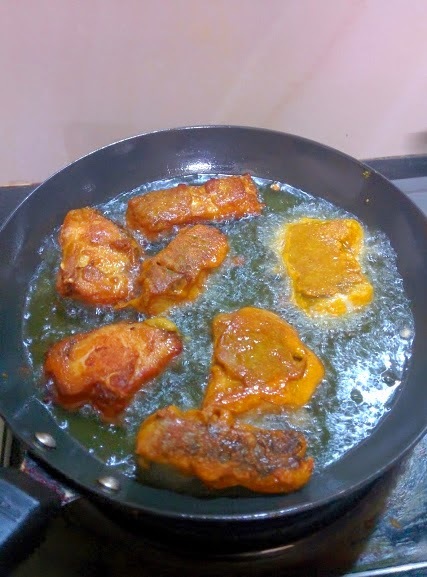 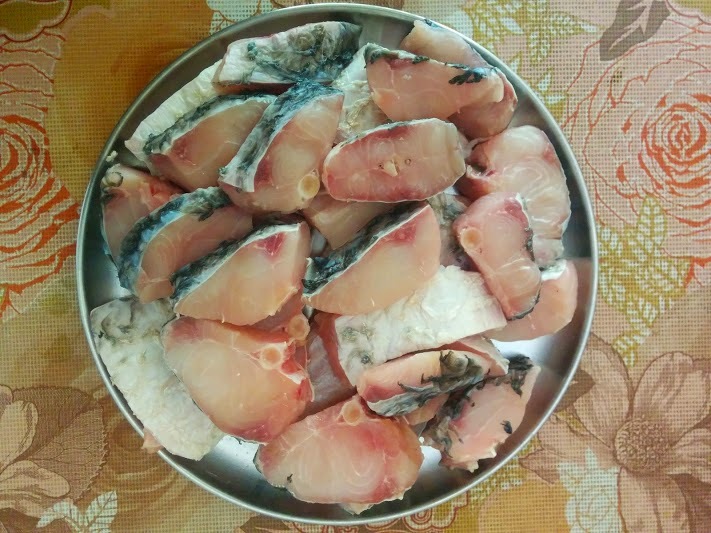 Now your fish is ready for frying.Whenever you want to serve it hot put small quantity of oil in a pan and you can fry the fish pieces.If you want to deep fry the fish pieces.Heat oil in a kadhai and put these pieces until they turn dark red or you can see them getting crispy.